You are most welcome to the modern creative world of pallet wood. You will find here a big list of plans and DIY pallet ideas to develop each interior and exterior segment of your home in cozy way by getting the rustic but modern layouts furniture. 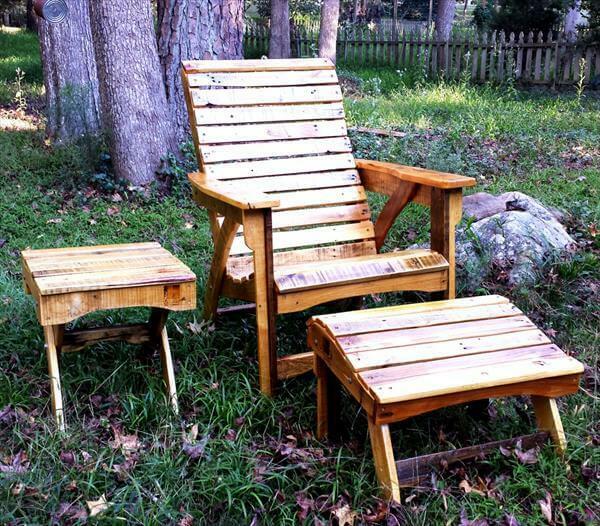 This chic set of DIY pallet modern Adirondack furniture has been made by some creative readjustments of pallet boards. 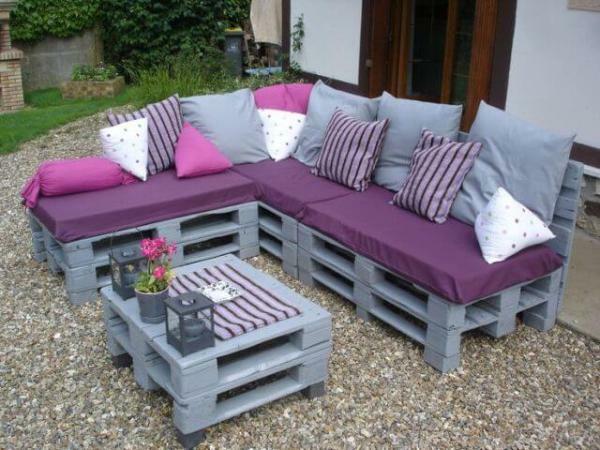 Make the pallet boards deconstructed first then plan the dimensions of your targeted type of DIY pallet furniture out of the separated pile of pallet lengths. 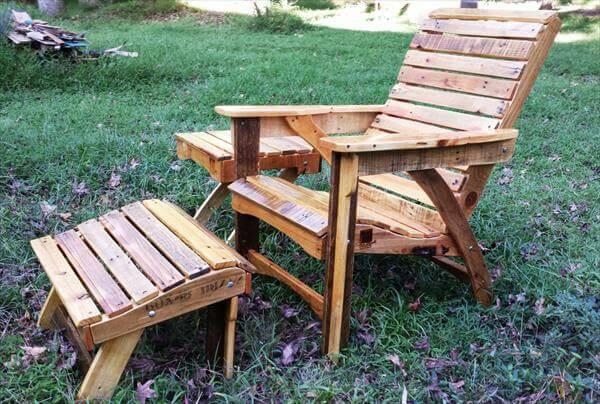 This is a highly functional recovery of pallet wood as outdoor sitting is the best way to get inner satisfaction and contentment. 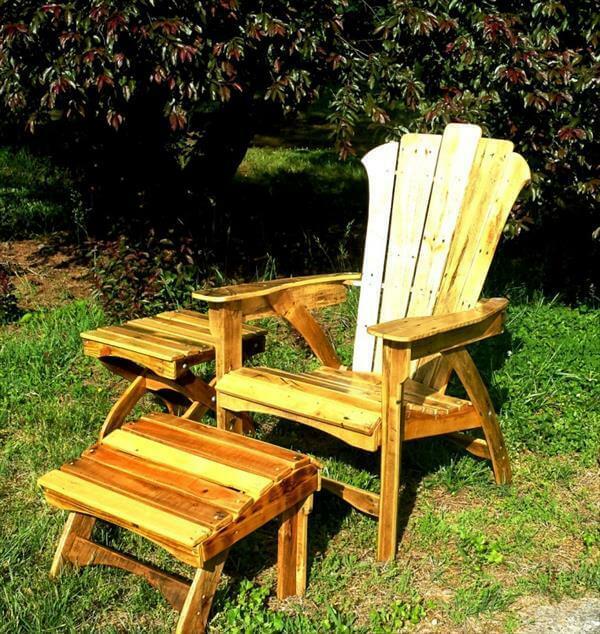 We have reconstructed a perfect DIY pallet Adirondack chair, a side table and an arresting coffee table layout to support the eatables and beverage in front. 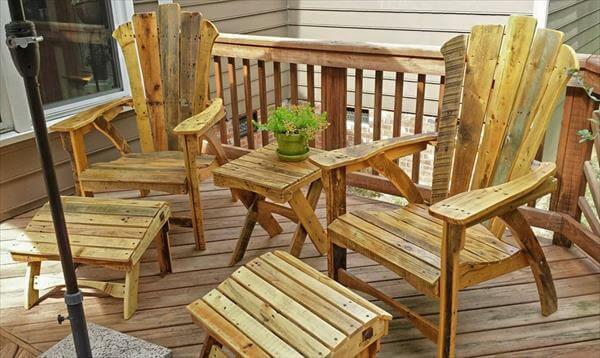 You can also copy this mind blowing but thrifty plan of DIY pallet patio furniture by working creatively on pallet wood.